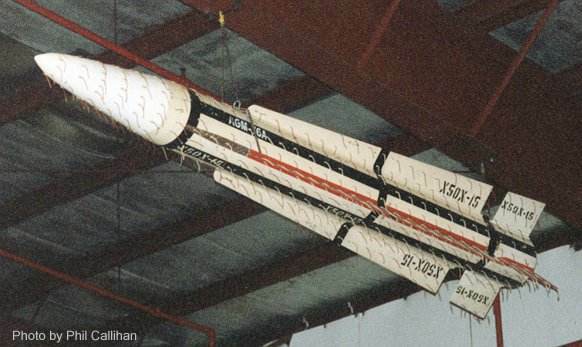 The AGM-76 was an air-to-ground derivative of the AIM-47 Falcon long-range air-to-air missile, designed in 1966 as a quick-response anti-radar weapon against SAM sites in Vietnam. It was equipped with the S-band seeker of an AGM-45 Shrike, and had a 113 kg (250 lb) high-explosive warhead (from a MK 81 bomb). AGM-76A missiles were fired from F-4D, A-6 and F-105F aircraft. It is unclear whether there firings were pure tests or if they included also operational missions.